Police shut down several roads around the Pentagon Friday morning after a man was found overnight in Arlington National Cemetery and a suspicious vehicle was discovered along Washington Boulevard. The incident started when Fort Myer Police and U.S. Park Police found a man in Arlington National Cemetery at about 2 a.m. The cemetery was closed to the public at that time. Officials said the man, who NBC News sources identified as Yonathan Melaku, 22, of Alexandria, Va., fled from Fort Myer officers before being apprehended by Park Police. The man, who officials confirmed to be a member of the Marine Reserves, was not cooperative when answering their questions, so they escalated the issue. Park Police took the man into custody, and found a red 2011 Nissan in some bushes near the Pentagon. An initial search of the vehicle detected no immediate threat. FBI officials removed the vehicle for further testing. 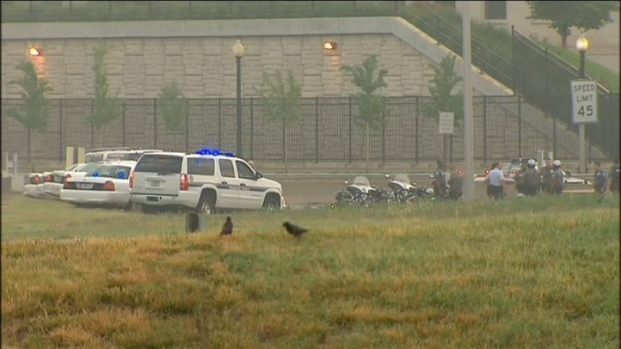 Police shut down roads around the Pentagon to investigate a suspicious vehicle. 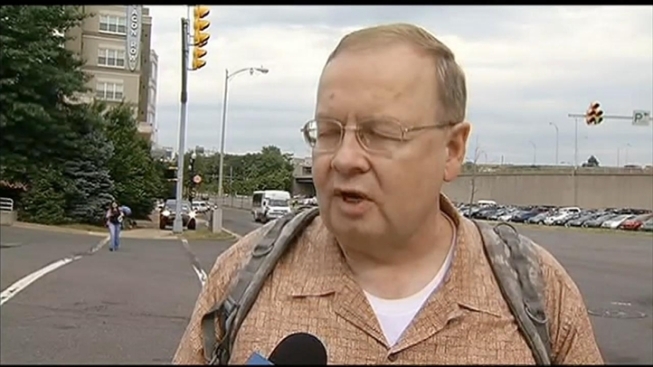 The FBI said the man had a backpack with him. Items found "in bags" in the backpack were deemed suspicious, but later determined to be non-explosive material. Sources later told NBC Washington that the items were cans of spray paint. Police surrounded Melaku's home in Alexandria and conducted a search of the premises. It appears Melaku has had previous incidents with authorities in Leesburg. Melaku is a Marine reservist, although he has never actively served, according to NBC News Pentagon correspondent Jim Miklaszewski. The FBI confirmed that Melaku had enlisted with Marine Reserves in 2007, and was listed as a Lance Corporal. According to the FBI, Melaku received the National Defense Service Award and the Selected Marine Corp Reserve Medal. He was never deployed overseas. U.S. Park Police Spokesperson Sgt. 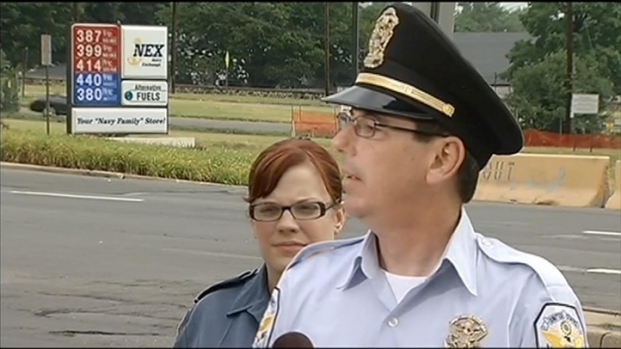 Dave Schlosser briefs the media about this morning's suspicious car near the Pentagon. Melaku is a naturalized U.S. citize, orginally from Ethiopia, the Associated Press reported. At one point, it was believed that police were searching for one or two more people who fled the scene on foot when police stopped the vehicle, according to Miklaszewski. But the FBI later said they believe the man was acting alone and there was "no reason to believe any other individuals acted with him." A suspicious device found at the scene where the vehicle was located was "rendered safe." Park Police also said Arlington National Cemetery and other areas around the Pentagon were secured to make sure those areas were safe. Road closures in the area surrounding the Pentagon made a mess of the morning rush hour. Park Police said all roads would reopen "when it is safe." The roads reopened by 11 a.m.
Metro said bus service was affected, but rail service operated normally.